Take one of many direct regional flights to Keflavik international airport in Iceland. On arrival, transfer via the airport shuttle bus to your chosen hotel in Reykjavik. We recommend the Centrum Hotel, a property full of character and located in the heart of the city. The remainder of the day is at leisure to explore the capital, which celebrates the cultural diversity of Iceland’s small population with a plethora of museums, restaurants, monuments and galleries. Enjoy breakfast before embarking on a 2½ hour sight-seeing tour of Reykjavik and its surrounds. This is an informative introduction to the city and includes visiting top attractions such as the Perlan glass dome, the old parliament house and Hallsgrimskirja church. This really is the best way to enjoy the trio of Icelandic sights known as the Golden Circle. Join a Super Jeep tour on board a modified Land Rover Defender. 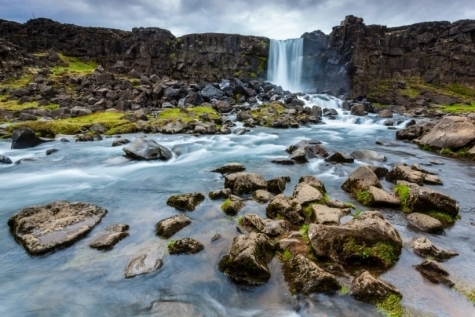 The driver-guides transport you, in comfort, across wild barren landscapes, as you visit Thingvellir National Park, the Geysir area and Gullfoss waterfall. Plunge through ice-streams as you continue on to Langjokull for your first taste of a glacier before returning to Reykjavik via the cathedral at Skalhold, the Kerid crater and the greenhouse community of Hvergerdi. Evening at leisure. Enjoy a leisurely breakfast before checking out. We recommend taking a taxi for the short journey to Reykjavik domestic airport, where your direct flight with Air Iceland to Ilulissat departs from. It is a 3 hr 15 minute flight to another world. Make sure that you take time to peer out of the window as you fly over Greenland to admire the enormity of the ice-cap and catch your first glimpse of the glaciers and icebergs that reside in the fjords and open sea. 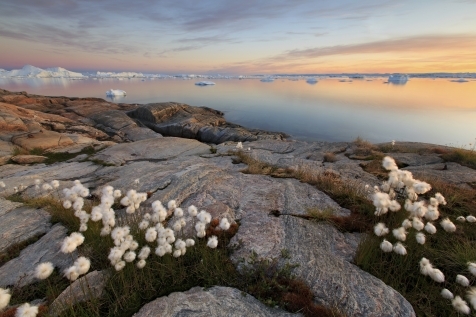 On arrival in Ilulissat, you will be met by a local guide and transferred to the Hotel Arctic, a 4* hotel perched on a headland overlooking the Ice Fjord – a UNESCO World Heritage site. The hotel commands stunning views, an award winning restaurant and an eclectic mix of guests that only add to the welcoming and friendly atmosphere. Meet some of your like-minded fellow travellers before heading into town for a guided walk. 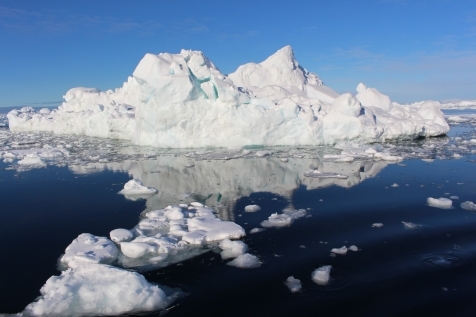 Ilulissat translates as ‘Iceberg’ but was founded in 1741 as Jacobshavn. It is Greenland’s third largest town with around 4500 residents and almost as many sled dogs. Home to Knud Rasmussen, the polar explorer and anthropologist, his former home is now a museum dedicated to his life and expeditions. As you stroll through the town there is not a moment where your eyes don’t return to the icebergs drifting by. Return to the Hotel Arctic for a welcome dinner of Greenlandic and classic dishes prepared by some of the best chef’s in Greenland. Enjoy breakfast with the world’s biggest sculpture park as a backdrop. Then embark on your chosen excursions. There is a day trip to the Eqi Glacier, where you can witness first-hand the power that emanates from the mammoth ice cap, then lunch at a remote settlement. Walk to Sermermiut, where traces of old Inuit cultures can be seen, take a whale watching trip into Disko Bay or a flight over the Ice Fjord. Learn from the locals and visit the husky dogs that are part of every-day life, or visit a Greenlandic home and enjoy ‘Coffee-Mik’ and first-hand accounts of living in such a remote destination. 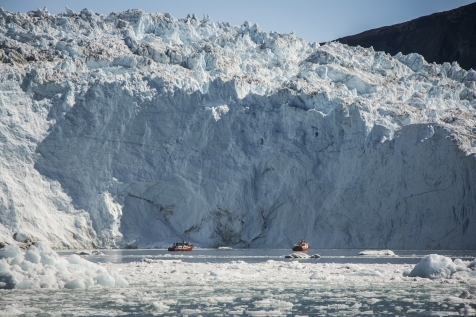 We have to recommend an evening cruise, where you can enjoy the captivating sight of the midnight sun reflecting on the giant icebergs as you cruise between these towering monoliths. On Day 5 - dine at your leisure. There is a number of restaurants ‘downtown’ to try, should you so wish. On Day 6 - there is a farewell dinner included at the Hotel Arctic. This morning there is a last chance to absorb the surrounding scene. At this point you leave your Greenlandic guide in this remarkable location, before transferring back to the airport for the flight back to Iceland. On your return to Reykjavik, self-transfer to your chosen hotel for a night of reflection on your sojourn into another world you now can’t quite believe exists. Enjoy breakfast and check-out. To complete your trip, we have arranged a relaxing and rejuvenating soak in the warm milky blue waters of the world renowned Blue Lagoon, before heading to Keflavik international airport for your return flight back to the UK. Please Note: Your flight schedule may determine the excursions included Iceland. We will customise your stay accordingly.